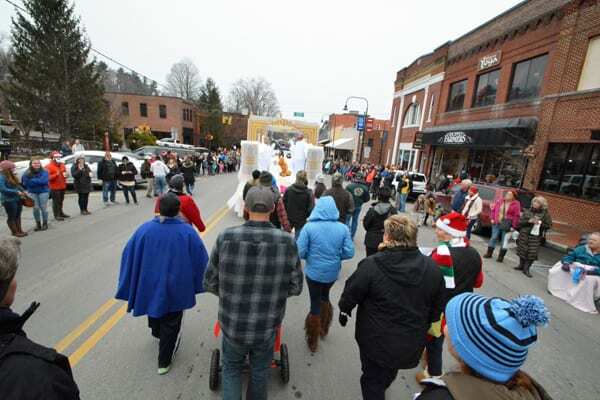 Chilly temperatures and cloudy skies were on hand for Boone’s Annual Christmas Parade on Saturday. King Street was lined with parade watchers who were treated to a 40 minute parade. The parade made it on the national airways because Jim Cantore of the Weather Channel was on hand to report on the upcoming snowstorm and used the parade as a backdrop to his reporting.